“Fashion guider, not influencer” – this is my motto and I bring a show with a difference! 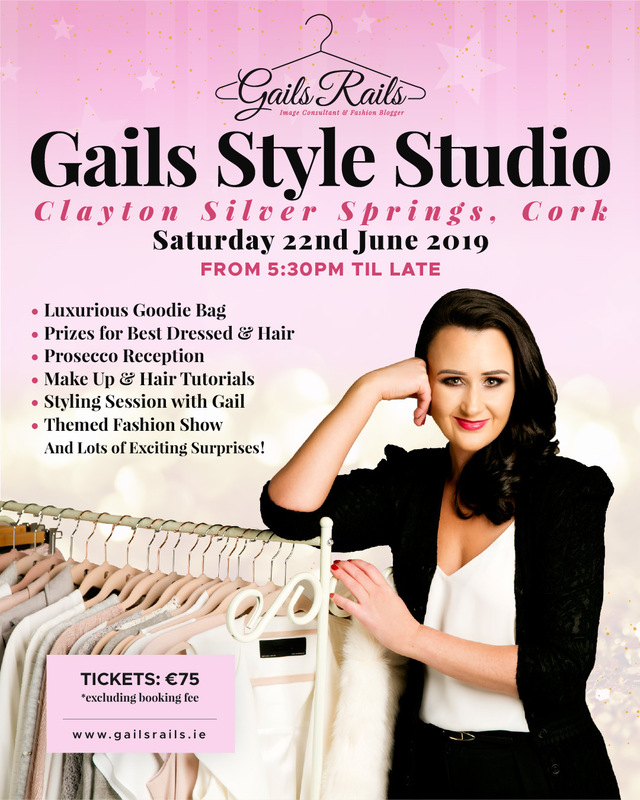 Gails Style Studio is the perfect girly night out! It’s full of fashion shows, hair & make up tutorials and so much more. Guests receive a prosecco reception and a jam packed goody bag, full of amazing treats! I am a qualified image consultant and a busy mother of two; I know exactly what the busy women of today need and this is the focus of my show. My trademark style talk enables women to dress for their shape and look effortlessly stylish without a hefty price tag. At my event, the fashion show includes looks like desk to date, school run and pitch side mammies. They’re the looks that real women need to see! My journey to success has been an incredible one. I’ve gone from 0 followers to almost 75,000 across all platforms in just 2 years. So, thank you!! This is my third show and I can’t wait to take it to Cork! My previous shows in March 2018 and January 2019 in the Opsrey Hotel, Kildare were sellouts and have amazing reviews from women of all ages. It’s a night not to be missed! Buy your tickets here.